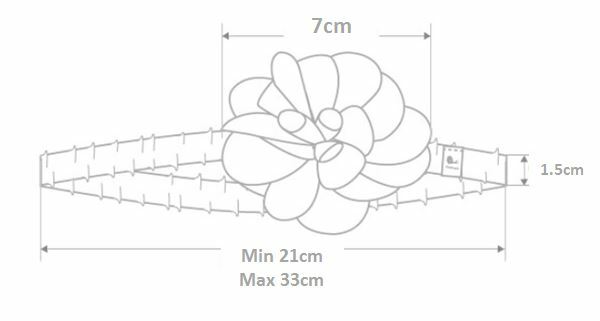 Featured in the same patterns as our Flower Walkers, our flower headbands have a 16.5 in non-slip band that is comfortable to wear for extended periods of time. Adorned with a fun, feminine flower, these adorable headbands are the perfect finishing touch to any outfit. This head and fits great and went through a car ride, being held and passed around for 2 hours without falling off my little one's head. At the same time, it is not so tight that it is cutting into her scalp and is stretchy enough that it looks like she can wear it as she grows.